Top o’ the morning to ya, blog readers, and Happy St. Patrick’s Day! Whether you’re celebrating with the Celtic or downing a few green beers, everybody is Irish today. Unfortunately, my pack of leprechauns had to leave early for the celebration, so I was left to come up with a post of the day. So, in honor of St. Patrick’s Day, a tribute to ten of the most popular Irish acts (born and/or raised) to make the American charts, in alphabetical order. Statistics are from the Hot 100 prior to 1990 and CHR radio afterwards, though if there are any exceptions, I’ll point them out below. Also, a list of Irish one-hit wonders in States even if they’re not internationally: B*Witched (“C’est La Vie”, 1999), Boyzone (“No Matter What”, 1999), Sinead O’Connor (“Nothing Compares 2 U”, 1990), Thin Lizzy (“The Boys Are Back In Town”, 1976) and Westlife (“Swear It Again”, 2000). This performer was technically born in Argentina, but he spent most of his life in County Wexford, so I think it’s fair to put him on the list. 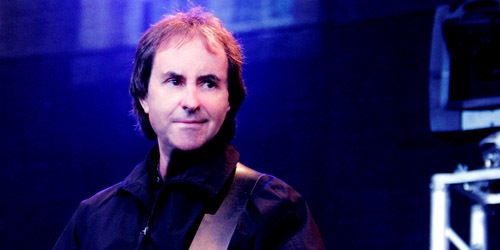 de Burgh first signed with A&M Records in 1974, but it wasn’t until 1983 that he first hit the top 40 on the Hot 100 with “Don’t Pay The Ferryman”. 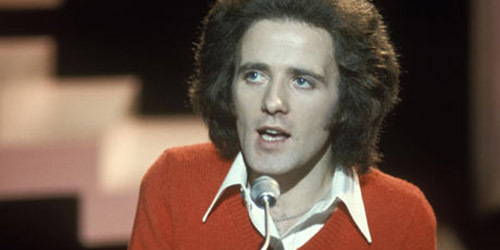 He’s best known for his 1987 ballad, “The Lady In Red”, which lifted him to #3 on the big chart. He never charted again after that huge single. He still records independently on his own label, Ferryman Records, though nothing has reached our shores. This musician from Gweedore has always been secretive about her personal life. Not much is known about her or her family. She was first introduced to American audiences via one of the top new age songs of all-time, “Orinoco Flow (Sail Away)”, which just missed the top 20 in 1989. Alternative radio touched a few of her singles after that, but it wasn’t until 2001 that “Only Time” amassed airplay on multiple formats as a post-9/11 anthem. It went to #12 on CHR radio. Her most recent studio recording, And Winter Came…, was released in 2008. O’Sullivan was born in Waterford and took on the first name Gilbert as a play on the theater duo Gilbert and Sullivan. His first U.S. release, “Alone Again (Naturally)”, spent six weeks at #1 on the Hot 100 during the summer of 1972. Followup single “Clair” went to #2, and after three other top-40 hits, he was done. His track record remained spotty overseas in the years after, last charting anywhere in the world in 1980 in both the U.K. and his native Ireland. O’Sullivan is currently on tour in Asia. From the top to the tub. Mumba was originally discovered on an Irish talent show and was quickly snapped up by Polydor Records, making her U.S. debut in 2000. Lead single “Gotta Tell You” became an international smash, cracking the top 5 on CHR radio. “Baby Come Over (This Is Our Night)”, released in a remixed form, hit the top 20 the next year. Two more singles barely made the top 40, and her second album was shelved due to one of those underperforming songs. Mumba’s largely gone into acting since then. She appeared on U.K. show Dancing On Ice in 2008. This is the only act entirely made up of siblings: Andrea, Caroline, Jim and Sharon. 1995 gave the group a minor top-40 hit, “Runaway”, which was overshadowed at the time by a Janet Jackson song with the same title. Jackson went to #2; the band stalled at #37. “Breathless” originally charted in 2000, but went largely unnoticed until some GRAMMYs buzz pushed the song back in the top 40 and up to #20 in 2001. They’ve had a handful of adult contemporary singles since then, the last in 2004. They’re currently on hiatus. Led by Dolores O’Riordan, the three men/one woman band from Limerick hit the top ten their first time with “Linger” in 1993. Followups like “Dreams” also made the top 20 at CHR radio, with two additional top-40 hits coming in 1995, and the following year, their third disc provided another three charting singles, bringing them to seven total. The band parted in 2003 after several underperforming releases. 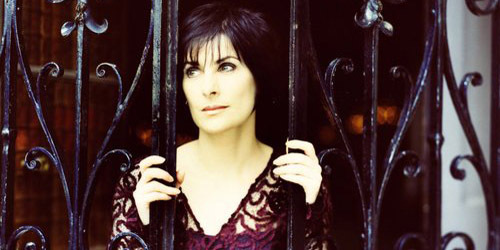 O’Riordan went solo, then the band got back together, issuing Roses last year. There have been no updates since then. It’s all in their name. 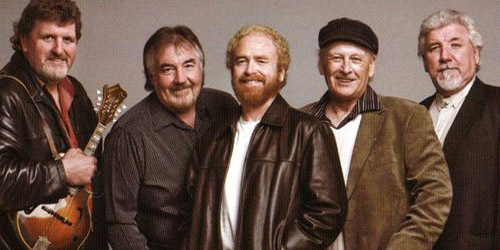 All their original members were born in Ireland, but the band themselves formed in Canada in 1963. They’re best known for their 1967 hit, “The Unicorn”, which peaked at #7 on the Hot 100. It was based off of a poem by popular children’s author Shel Silverstein. They’re largely known as a one-hit wonder in the U.S., though they did have a minor top-40 hit in 1981 with “Wasn’t That A Party?” as the dropped the “Irish” from their name. The band is still together with a rotating membership. Here’s the newest act on here, a trio from Dublin who formed in 2002. In 2009, they hit the U.S. charts, first breaking at the Hot AC format with a minor single. 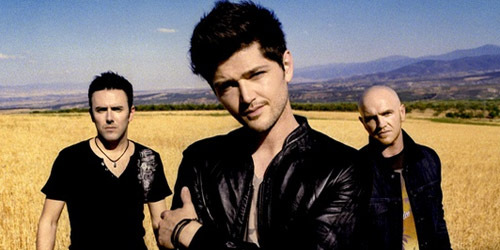 Their second release, “Breakeven”, became their first single to chart at mainstream radio, hitting the top ten in 2010. They’re still going strong, recently earning their fifth top-40 hit with the will.i.am collaboration called “Hall Of Fame”. (They’re up to six Hot AC singles.) The band is still actively promoting their third studio release, appropriately titled #3. Number “One” on the list. Most of you were probably thinking these guys would be on here. 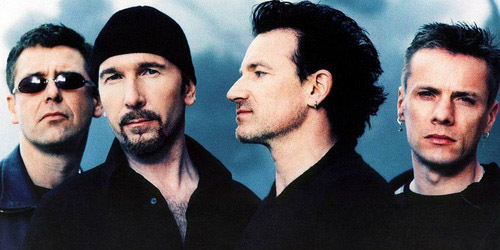 From Dublin, the quartet first hit the top 40 in late 1984, and scored their best era with 1987’s The Joshua Tree, best known for #1 singles “I Still Haven’t Found What I’m Looking For” and “With Or Without You”. The band’s had twenty singles make the airplay chart, the last top-40 hit being “Vertigo” in 2004. Several of their digital singles have ranked in the top 40 in the Hot 100 in the years following that. They’re expected to release an album later this year. A “Wild” and crazy guy. 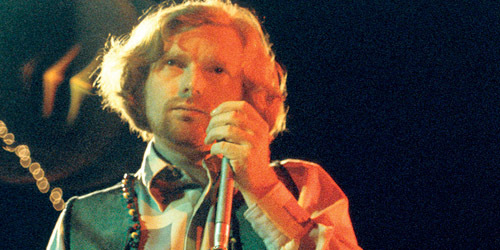 From Belfast, Morrison signed to Bang Records with the help of producer Bert Berns. His first single, 1967’s “Brown Eyed Girl”, peaked at #10. The singer enjoyed a string of five top-40 singles, ending with “Wild Night” in 1971, which went to #28. (A version by John Mellencamp and Me’shell Ndegeocello later made the top 5 in 1994.) After charting in the Hot 100 for several more years, he no longer made the big chart, though he did make the Mainstream Rock survey a few times into the 90’s. His album, Born to Sing: No Plan B, was released last year. Who is your favorite act to listen to on this St. Patty’s Day? Leave a comment below or contact me on Twitter: @AdamFSoybel.